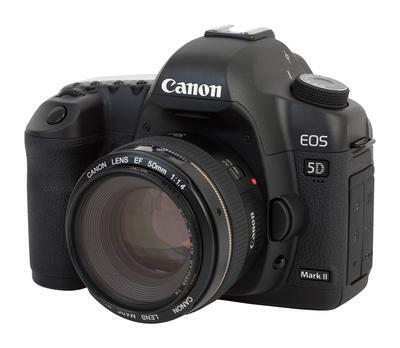 What's the difference between the Canon 5DS and 5DS R. I am leaning towards the 5DS R but what's your recommendation? I also have lenses from my old Canon rebel would my these lenses fit my new Canon 5DS R as well as my old memory cards? Is this a good price for a body only? Thanks for your question about the difference between the Canon 5Ds and 5Ds r. Sorry for the delayed response. I've had a bit of a hiccup with a health issue. The only difference between the models is that the 'S' has an optical low-pass filter, while the 'SR' has a self-cancelling filter. The EOS 5Ds r is a specialized version that is intended for photographers looking to capture the maximum amount of detail possible. Personally I'm not a big fan of the auto cancelling filter. I don't like moire and I feel that sharpness is already excellent with the filter and does not need to be enhanced. When you fit that many pixels onto a sensor, you can lose some performance at high ISO settings because the tiny pixels are not as good in collecting light as the larger pixels are. 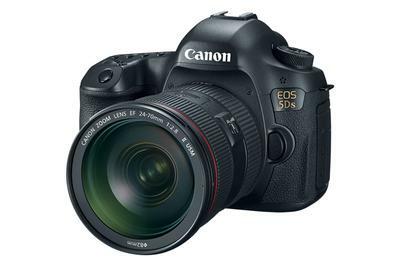 Canon reports that the noise levels with this camera is about the sames as the 7D Mark II. 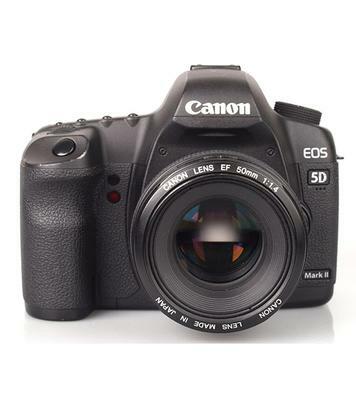 The body is essentially the same as the one I have, the Canon 5D Mark III. Be prepared for huge file sizes, particularly if you shoot raw. "Was about to upgrade to a Canon EOS 5D Mark IV but saw the release notice on the new mirrorless full frame. Have a bunch of Canon and third party lens that I like. I don't really use video so that not part of the decision. Any thoughts on which way I should go?" Thanks for your questions about choosing to upgrade to a Canon 5D Mark IV or a Canon EOS R Mirrorless Camera. The quick answer is that I'd go with the EOS R mirrorless. It's more affordable and it has the advantage of two more years of technology built into it. I don't know what you're upgrading from, but there are 3 main reasons why I think you should go with the mirrorless. 1. MONEY MONEY MONEY. The EOS R is almost $1000 cheaper. That could easily buy you a lot of accessories, like one of the unique mirrorless lens adapters or another mirrorless lens. 2. THE PROCESSOR. The EOS R has a digic 8 processor. The 5D Mark IV has a Digic 6+. With the EOS R you get a camera that is two years newer. 1. YOUR LENSES. You have a collection of full frame lenses that already fit the 5D Mark IV without the need for an adapter. 2. THE JOYSTICK It's one of my most used buttons on my 5D Mark III. I like the convenience of using the joystick. Probably not a big deal, just would take a little time to get used to the different control buttons on the EOS R.
Frank, please let me know what you decide on. I love to get reader feedback for the good of all the Canon Camera Geek readers. I admire your initiative with this blog. I found you while searching for a firmware update which Canon do not supply anymore: the 2.1.2. firmware for my EOS 5D II which I bought some time ago second hand. It has the old 2.0.4. Is there a way to acquire it? Thanks for your question about the 5D II. That one is beyond me. I'd suggest calling Canon directly, if you haven't, and try some specific forums on Canon 5D. 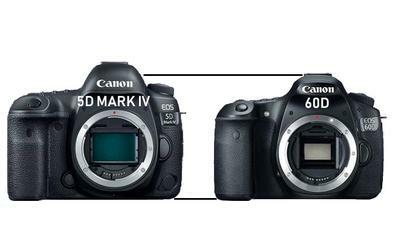 That's a tough one as the 5D Mark II is now becoming "outdated" because of its age and how fast everything becomes obsolete because of the rate of technological advances. I sold my original 5D (Mark I) quite some time ago. "I'm curious if the auto focus will work with a Canon 5D Mark II with a 1.4x TC and a 100-400mm USM II lens. thanks!" Thanks for your question about the 5D Mark II, a teleconverter, and a 100-400. This is one of combinations that is so specific that it's a situation where you have to try it to really find out. Here are 2 resources. Let me know what you find out. thank you very much for the information! that really helps my direction and understanding...always learning. much appreciated, have a great day! Thank you for contacting Canon product support regarding your EOS 5D Mark II, the Extender EF 1.4x III, and the EF 100-400mm f/4.5-5.6L IS USM lens. I would be happy to help you with this. I'm afraid this particular combination will not allow for autofocus operation. You will need to focus manually. When using the EF Extender 1.4x III or 2.0x III on most of our EOS cameras, the camera will not be able to autofocus if the new maximum aperture after the extender is smaller (a higher number) than f/5.6. For instance, if you have a lens that has an aperture range of f/4.5-5.6 (such as the EF 100-400mm f/4.5-5.6L IS USM), adding the 1.4x extender changes the maximum aperture by 1 stop, resulting in an aperture range of f/6.3-8.0. Likewise, the 2.0x extender pushes the aperture range up by two stops, to f/9-11. Because of the reduced amount of light entering the camera and larger depth of field due to the reduced aperture, most of our camera's autofocusing systems cannot operate. As a general rule, for proper AF operation with our extenders on most of our cameras, you will need a lens with a maximum aperture of f/4 or better with the 1.4x extender and f/2.8 or better for the 2.0x extender. There are a couple of exceptions to this rule. Most of the EOS 1D series, the EOS 5D Mark III, and the EOS 7D Mark II retain autofocusing capabilities from f/5.6 to f/8, but are limited to the center point only. The EOS-1DX Mark II and the EOS 5D Mark IV can autofocus with all focusing points down to a maximum aperture of f/8. I hope this information is helpful to you. Please let us know if we can be of any further assistance. ah, looks like only the 5D mkIII has compatibility with the 2013 firmware update. thanks for the resource! I find a strange thing happening. While using my 5dsr camera and a 580ex II flash I find that pressing the high-speed sync button on my ST-E2 controller (sitting on my camera), in order to change the high-speed sync to regular sync (1/200) in my camera, (and then, back to high-speed sync) the flash (off camera) switches to Manual from ETTL spontaneously without warning, and I find myself having to check the underexposure frame and go to the flash itself and find it switched to Manual, then I have to press the MODE button for a couple of seconds, and then, it goes back to ETTL. Please bear in mind that I'm using a ST-E2 module on my camera's hot shoe. This setup works very well most of the time, except when it does this switching (maybe 5-10% of the time. Most thankful for your answer, Dan"
Thanks for your question about the Canon 5Dsr and ST-e2 controller. Since I have never used this exact combination I can't comment on any of my own personal issues with communication errors between the two. Also, I have not heard of this situation arising with any of the other Canon Geek readers. I'm sure it's frustrating and is definitely not acceptable to put up with. 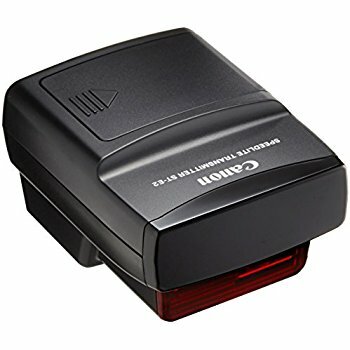 I'd recommend you contact Canon directly. When I've had issues in the past I've found them extremely helpful. 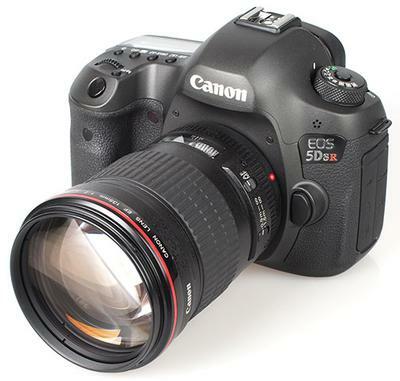 "I own a canon 60d and am looking at upgrading to a 5d Mark 4 camera. Some of my lenses are EFS and EF. Are there adapter rings to use both kind of lenses? Are there different software releases on the Mark 4 because looking them upon Amazon there is a variety of prices. What would be a good start out lens for the Mark 4?" 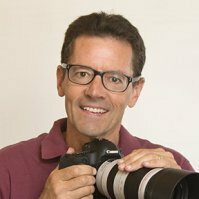 Thanks for your question about the Canon 5D Mark IV vs. The Canon 60D. Yes, there are always firmware updates released after a camera has been introduced. Price differences can also sometimes exist because of any accessories that are or are not included. I am included a link to the Amazon search results for the Canon 5D Mark IV, just to show you how offers can vary quite a bit at times. 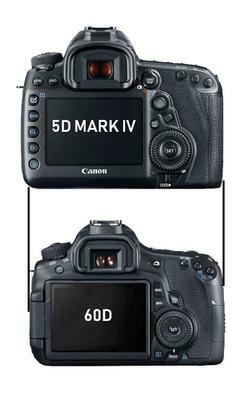 I believe it is a good upgrade from the 60D to the 5D Mark 4. You're jumping forward 6 years in technology-That's a lot when it comes to DSLR advancements. The 60D was a fine camera and Canon sold a ton of them. It's a good time to buy a 5D Mark IV. The price has come down at least a little since it's release in August of 2016. You'll notice a big difference in image quality and speed because of the upgrade in the processor and the larger full frame sensor. You won't be able to use any of your EF-S lenses from the 60D on your 5D Mark IV. They don't provide enough of an image circle to cover the increased surface area of the 5D Mark IV. That's one of the biggests challenges for photographers like you who are considering going from a crop sensor to a full frame. Hope that helps! PLEASE PLEASE let me know what you decide. I am often curious about how the readers of Canon Camera Geek make their choices after an initial inquiry. p.s. If you like a little extra technology you'll also enjoy using the GPS and Wifi capabilities on the 5D Mark 4 that are absent in the 60D. That's fun stuff!